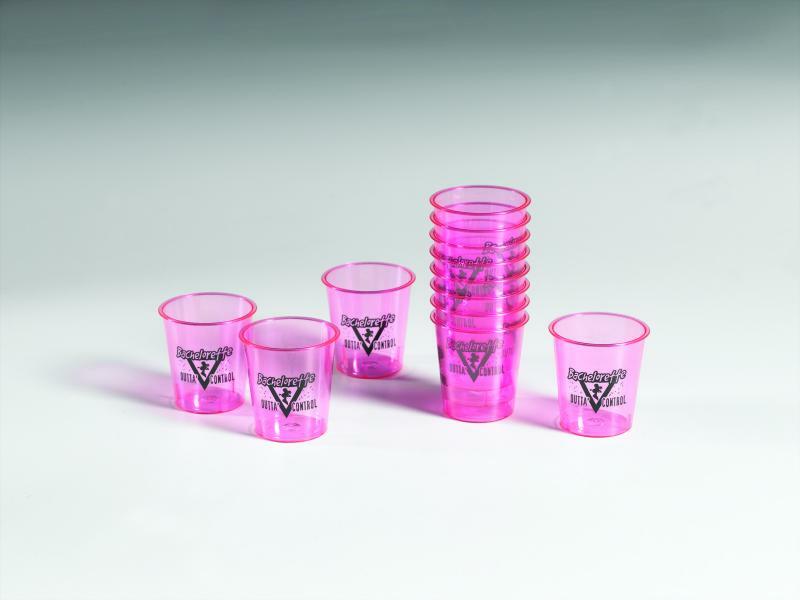 Bachelorette Shot Glasses 12 per poly bag. Great way to set the girls up with shots. Pink plastic traditional style drinking glasses. Adult novelties and party supplies from Forum Novelties.